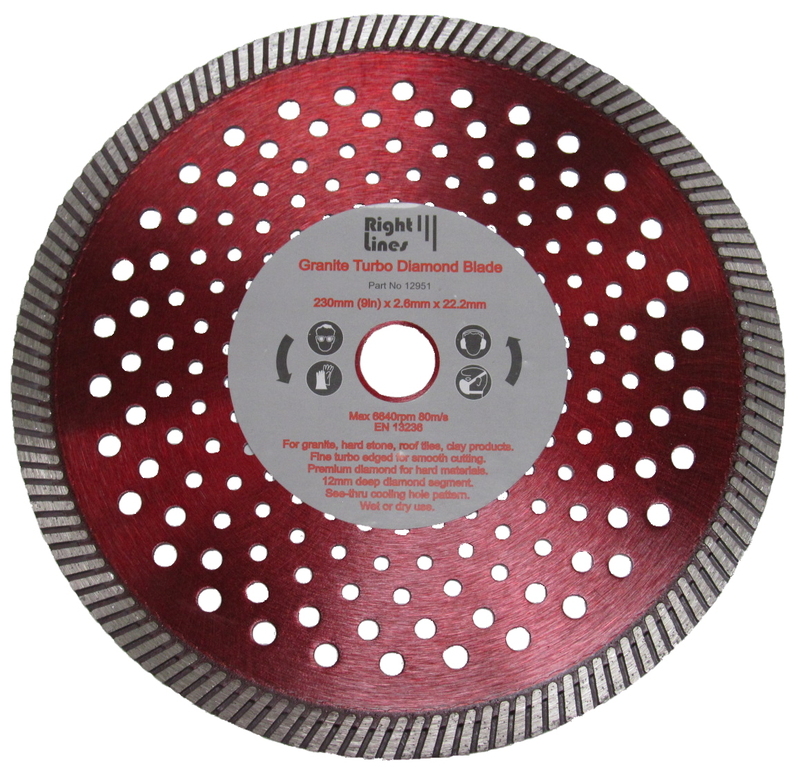 Applications: Superb diamond blades for contractors who want one durable blade to cut a wide range of materials. Multi-Slysa cuts facing brick, concrete products, concrete with re-bar, clay products and a wide range of stone including granite. Sizes are stocked for angle grinders, petrol saws and bench mounted chop saws. The 355mm and 450mm sizes are popular for cutting brick slips. The turbo style segments cut faster, whilst also helping to keep cool when using dry. Suitable for wet as well as dry use. Robust laser welded diamond segments for durability. Turbo style segments improve cooling and increase cutting speed. 10mm deep diamond segments giving longer life. Suitable for wet or dry cutting. Cuts multiple material types including brick, stone as hard as granite, concrete, roof tiles and more. Sizes for most angle grinders, most petrol (including 355mm) and bench saws. Also Available: For extreme materials such as engineering bricks we offer market leading Multi-Slysa Premium Plus diamond blades. 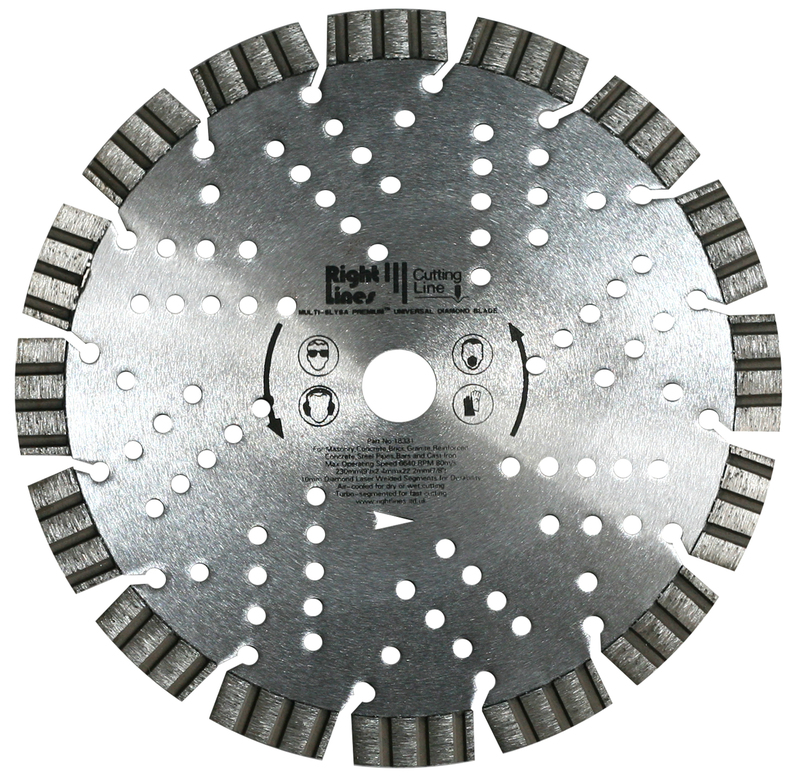 For ground work we recommend Road Slitta blades.